Priced for a Quick Sale! This ranch is move-in condition. The home features upgraded kitchen cabinets, upgraded trim package, custom blinds, custom paint throughout, master bedroom with private bath, walk in closet great room, eat in kitchen with island, nice 12 x 20 deck, large covered porch, established landscaping, and a large backyard. All kitchen appliances are included. Washer/Dryer and Home Warranty will be included with a full price offer. 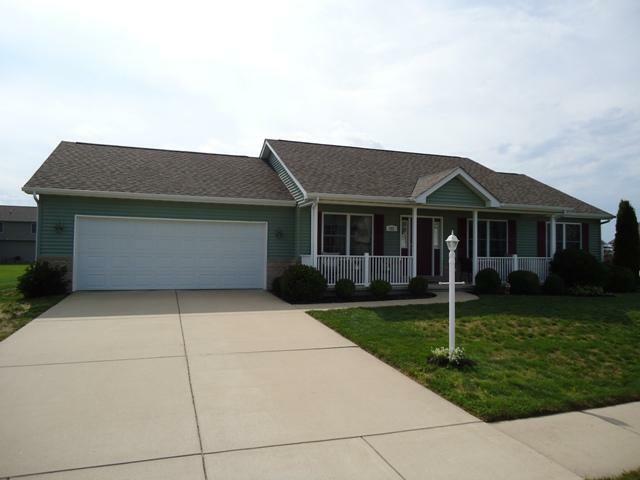 All of this located in a quaint well maintained neighborhood featuring a pond for fishing. Walking distance to DQ! This is a perfect home for first timers and/or empty nesters looking to downsize. Schedule your personal tour today before this one is gone.